Wow! What a crazy week. School is about to start back up again and things are getting nuts. 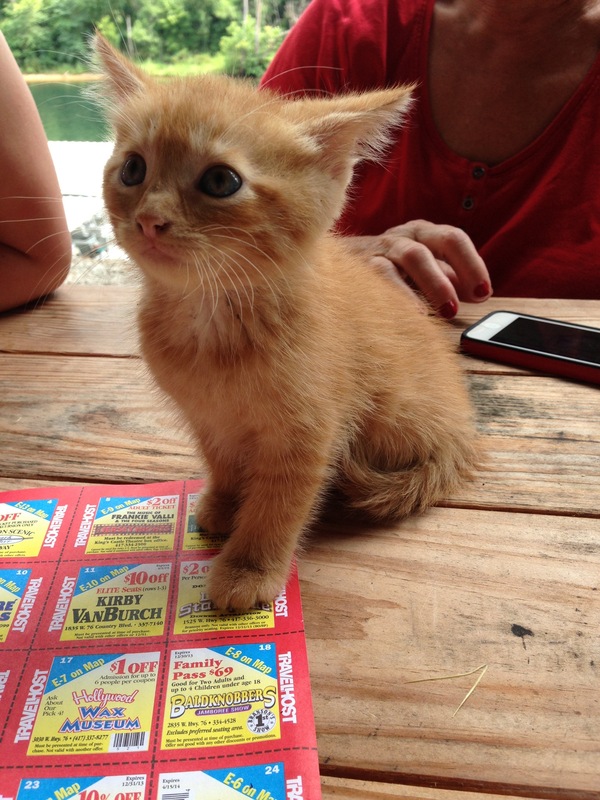 We went on a quick trip to Branson with John’s family and that is when our little family expanded:) We were staying at a fishing lodge and soon after arriving the kids came running up to us saying they found kittens. They were hiding behind a metal diesel drum out in the cold and rain and it was so sad. I would have never told the kids to try and get them out, but I wasn’t sure they would survive where they were. So, one by one we got them out. There were 4 total. We brought them in and cleaned them up and then went to the Office to find out if they belonged to anyone. He told us that weeks before someone had kicked a dog and a pregnant cat out of a moving car and dumped them on his property. He asked us if we wanted any of them and that he was going to put them in a box by the Office marked “Free” the next day. I am 32 years old and have never owned a cat as an adult. We had one as a child, but I barely remember. So, taking any of them home was no where on my radar. But as the days passed, and they just looked so sweet and helpless, we just couldn’t resist. We told the girls we’d take 1 home. Well, after a Facebook post about it I learned that they are better off if you keep them as a pair because it gives them someone to play with….and snuggle with:) So….. that was it…. Pickles and Cucumber (the girls named them) were coming home to Rolla. 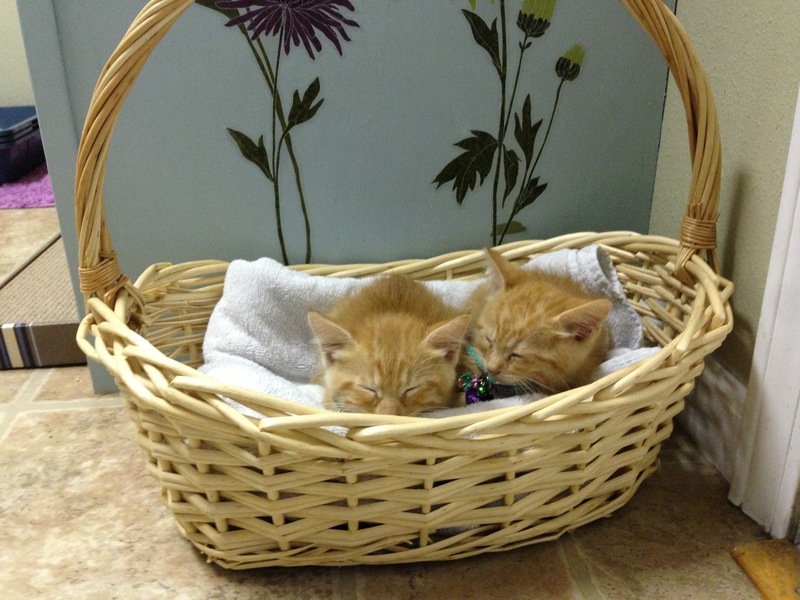 When we got them home I set up a vet appt. 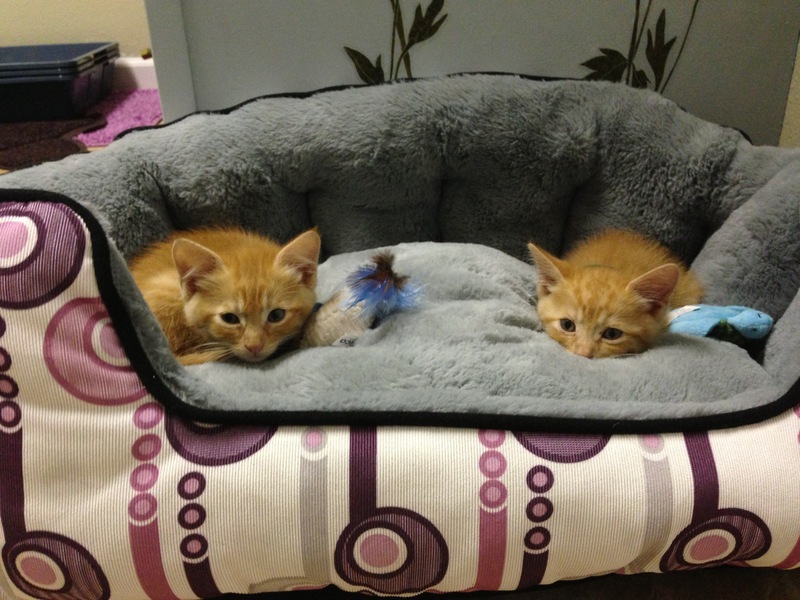 and found out they were around 1lb each and between 8-9 weeks old…. oh and they are both girls:) 🙂 More good news was to follow because John parents decided to keep the other 2! Who are also both girls. 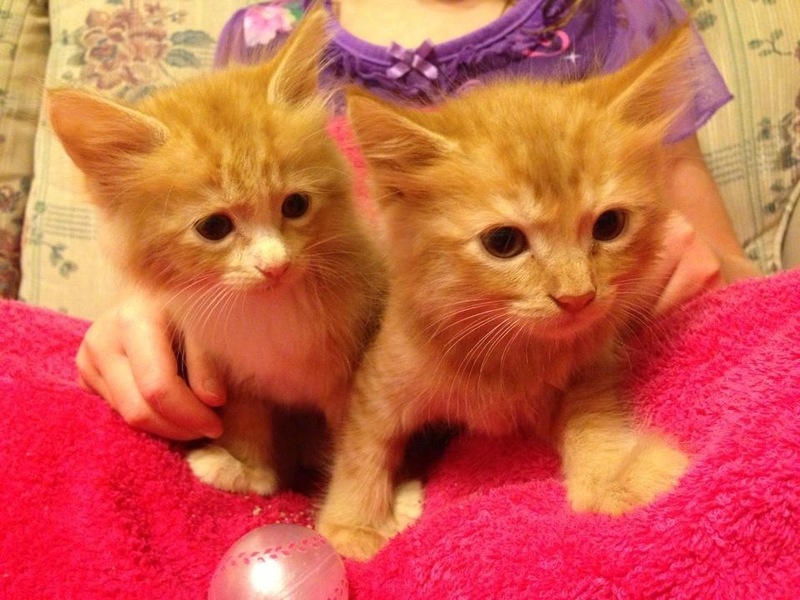 So….. long story short, our little family expanded and welcomed 2 little kittens. 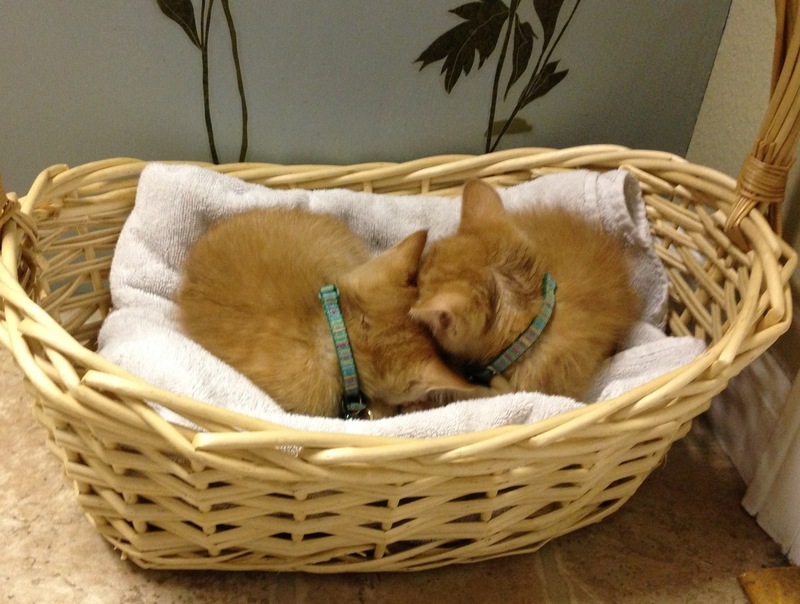 They may have been tossed aside, but we are ready to show them what a loving home is all about. I was so scared bringing them home that they would be a pain. But, honestly they are so sweet. 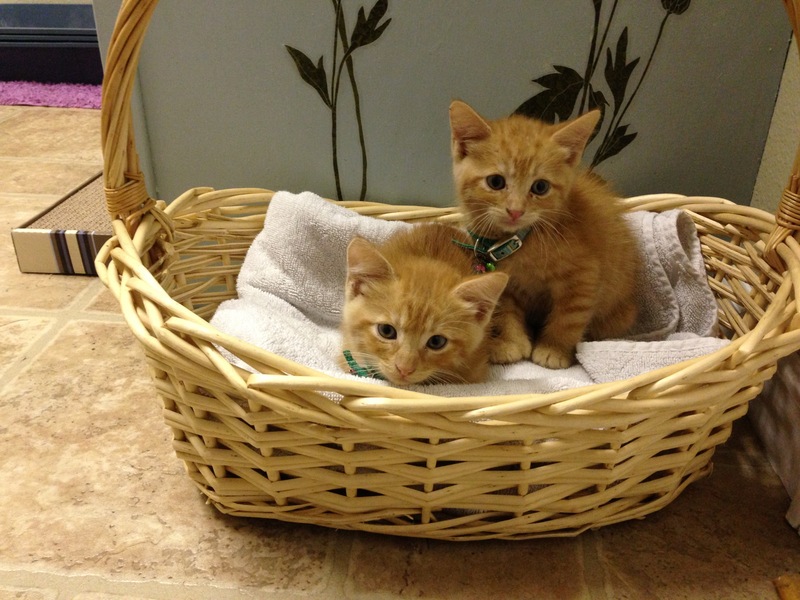 They use their litter box, and roll around and play with one another and it is just too cute! Peanut is being introduced slowly and he is not being too bad. ps- still having trouble with my legs and feet from chemo and that is taking a toll… but I’m not going to ruin this sweet and adorable post with that stuff:) Another day. Love your kittens and you. The girls will love them!